For the first time in more than 15 years, Ukrainian gas has been exported to the EU. On January 30 this year, a small private company, TAS Energia Krainy, managed to sell gas to Slovakia. Volumes are indicative of a test mode, but the fact of the transfer is of great importance. First, the story is clear proof that Ukraine has successfully resolved domestic gas challenges, due to growth in indigenous gas production and diversified imports, enough to ensure a strong liquidity base for market liberalization and export potential. Second, the transaction happened in high winter season, which suggests self-confidence and mature levels in capacity and the supply market. The cross-border sale is not referenced to the more common long-term, but to short trade that can track and meet national and mostly regional imbalances. 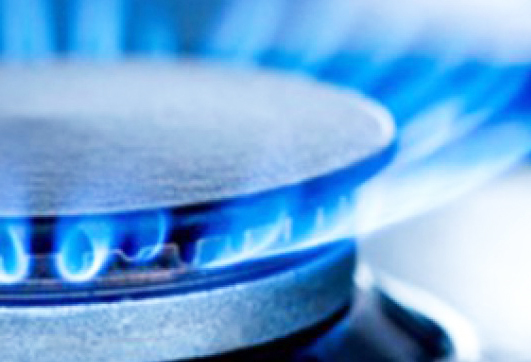 Third, the gas export test was conducted by a small player, not Naftogaz or EU gas majors. This fact speaks volumes on new market dynamics that could determine the market trends. The change, at least initially, is not likely to emanate from Gazprom’s traditional partners in Europe, but from many newcomers with a more flexible approach to the opportunities in the Ukrainian market. Fourth, removing the export ban is a signal to all European gas players that EU law de facto is governing gas trade in Ukraine, which guarantees the legal security of gas transit, entry and exit. European companies could start buying Russian gas on the eastern border of Ukraine, sell it in the country, store it in the underground gas storage facilities in the western part of the country and thus balance their gas supplies to the EU – replacing Gazprom as the market maker. Until recently, the Ukrainian government, using miscellaneous pretexts, hindered free gas exports from Ukraine, undermining the perception of Ukraine’s transit role. This hurdle seems gone. Fifth, the export test of Ukrainian natural gas to Slovakia marks a new level of joint work between the two gas operators, Eustream and Ukrstransgaz, which proves a functioning cross-border gas interconnection regime, including settlement, customs and measurement systems. The overall weight of seemingly petty deals like the one of TAS Energia Krainy should be measured against the background of ongoing negotiations for the extension of Gazprom’s transit contract in Ukraine, which expires December 31, 2019. Talks at the government level decry the Kremlin’s begrudging acceptance of the hard limits of its Ukraine bypass strategy. Whether volumes of the test transaction are 5,000 or 5,000,000 cubic meters is secondary. The talks between Naftogaz and Gazprom on the new contract, covering the next 10 years, are essentially done at the technical or expert level since both sides have agreed that inputs from “politicians” seem counter-productive. Each winter adds to the proof that the security of gas supplies to Europe during the high-season, meeting peak demand at high prices, rests on transit and underground gas storage capacities in Ukraine. If Gazprom is unable to resort to gas from UGS in Western Ukraine, meeting higher spot demand and profiting from prices for peak gas, then it will “vacate” a key niche in the market that will be immediately taken by its competitors. In time, most of them would start buying Russian gas at the Ukrainian-Russian border or from the “circumvention” Nord or Turk streams, totally displacing Gazprom. In the course of gas weapon and sanctions rattling, traders have become Russian political risk-averse, rerouting sources and clients away from Gazprom’s control. Short-term peak trade offers lavish returns, enough to lure competitors into the part of the European gas market that relies on balancing through Ukraine. The sample gas export to Slovakia was made possible following a long overdue change-of-mind by the Ukrainian regulator – the National Commission for Regulation of Energy, Housing and Utilities. The Ukrainian company’s ‘first’ will be shortly followed by other traders exporting gas via different borders – Hungary, Romania and Poland. A successful proof of cross-border gas potential with Romania could have a ripple effect on gas trade originating in the Southern Gas Corridor, destined for Ukraine. An agreement between the Romanian operator Transgaz and Ukrtransgaz can further facilitate cross-border trade, notably with a new gas interconnector between Romania and Ukraine. The increase in demand for gas transit services through Ukraine should be traced back to the dramatic tariff cuts since the beginning of the year. The slash in tariff rates has appealed to a significant number of traders interested in the transit and storage capacities freed from Gazprom. The withdrawal of Gazprom from Ukraine, beyond any doubt, will trigger stronger competition, greater alternative gas liquidity and a drop in Gazprom’s market share throughout Central and Eastern Europe. Traded gas volumes on the main trading platform, the Ukrainian Virtual Trading Point (UAVTP), have increased to 44.4 billion cubic meters in 2018, up 18% over the previous year, whereby the number of traders registered on UAVTP has increased by 10% to 367. In short, the rumors of the impending death of Ukrainian transit are premature and grossly diverging from market realities. This entry was posted in The Region and tagged Gazprom, natural gas, Russia, Ukraine, EU by Илиян Василев. Do you find value in this article? Your support will allow us to continue providing readers valuable and accurate analysis and expert positions. Abusive, racist or obscene comments are prohibited on BulgariaAnalytica.org. Comments containing inappropriate content and comments undermining the authority of the authors and other users are also prohibited. Additionally, BulgariaAnalytica does not allow comments containing spam, advertising, false advertising or promotional activity.